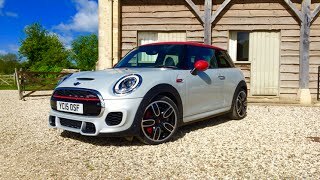 Modern John Cooper Works, the one today is wholly subsidiary of BMW, climbed a milestone introducing its all new MINI John Cooper Works 2015 model at the 2015 Detroit Motor Show. The company on the occasion shared that the model is the most powerful MINI ever developed by company and will soon rule the streets in USA. Let us check what more the company has added to MINI JCW 2015 to make it a benchmark. Just like its performance, the MINI JCW 2015 comes with a sporty and spacious interior with all new sports seats and integrated headrests upon better bolstering work. The Dinamica covered seats comes with an option to be refined with leather upholstery. Apart from these worth noticing are, all new leather-wrapped steering wheel mounted with major control buttons, stainless steel worked Pedals, JCW shifter and interior trimmed in Piano Black. The standard MINI Model also carry with it, three driving modes, precisely: Green, Mid and Sport. Each of them works just like the name, green projecting eco friendly features while mid keep its performance and eco factors too in list and last but the dynamic Sports mode giving the driver best ever experience in MINI John Cooper Works 2015. The exterior of MINI John Cooper Works 2015 is designed to add perfection to its upgraded power. Let’s begin with the front fascia where the bumper in it brings large air intakes to cool the engine and brakes. Adored with a JCW badge the front grille brings a distinct honeycomb pattern. More in the front fascia are the LED headlight and daylights adding commendably to the look and features under hood. 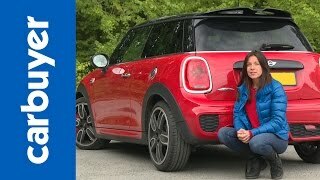 Shifting to the rear fascia of MINI John Cooper Works 2015 primarily drags your notice with the incorporated four outlets, with two place into the diffuser while rest two inculcate center-mounted exhaust exit. 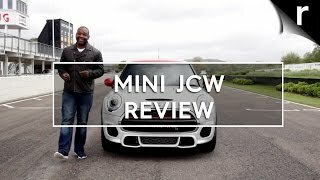 To add more to the stylish feature JCW has added their logo and portrayed sign of rework in the tailgate, giving a beautiful redesign. The MINI John Cooper Works with its performance gets most of the badges. Mounted with a 2.0 liter 4-cylinder engine delivering whooping power of 228 hp and 320 nm torque mated to six-speed manual transmission while simultaneously providing an option to switch for automatic. 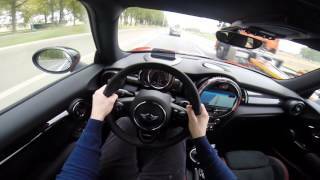 The so mentioned fastest model of JCW is capable of reaching 0-60 mph in just 6.1 seconds (5.9 seconds Automatic) with a top speed of 153 mph. 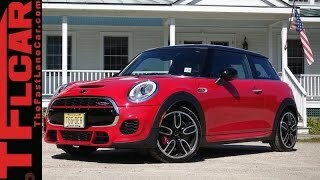 Standing at the price range of $31,450 including delivery fee, the MINI John Cooper Works 2015 is expected to face competition from Fiat 500 Abarth and Ford Fiesta ST.